Ambitious Qualified Dentist with excellent organisational & interpersonal skills. Having had extensive experience in periodontics, implant dentistry and implant prosthodontics. After graduating in 2002, from govt dental college Patiala he cleared Australian Dental Council (ADC) Examination for Recognition and Licensing in Australia in 2004. Further Post Graduated (M.D.S) in Periodontics And Oral Implantology and worked with reputed Dental Institutes & Opinion Leaders in world of dentistry. ● Advanced Prosthetics Including Implant Prosthodontics & crown and bridge. ● DSD (Digital Smile Designing) from Christian Coachman. ● Advanced Implantology In New York .- NOBEL BIOCARE. ● Post graduate certification on "All On 4" - Prof Paulo Malo. ● Advanced diploma from Miami Medical And Research Institute In Implant Dentistry, Lisbon Portugal . ● Advanved implantology and fast and fixed protocol training - Bredent Headquartes , Germany. ● Advanced prosthetics - Immediate restorations and physiological prosthetics- Bredent Germany. ● He is Chief Mentor- course director and faculty of recognised courses in dental implantology under MIME (max institude of medical excellence) since 2014. ● Conducted "ALL ON 4" Implant based treatment concept in dentistry LIVE Surgery & Workshop with Prof PAULA MALO & Dr. GUNASEELAN at his practice. ● Conducted FAST & FIXED LIVE Surgical Workshop at his practice . ● Keynote speaker at various national and international forums. 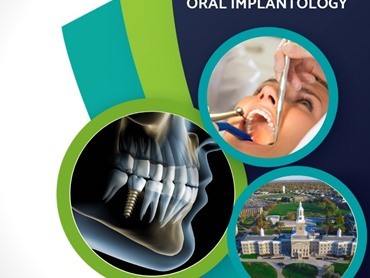 ● Dental implantology- various treatment modalities and management of complications. ● Dental management of patients with complicated medical problems. ● Dental needs and care for elderly. ● Good clinical practice - code and ethics. Highly specilased dental services for patients that are severely medically compromised or apprehensive or uncontrollable children and special need group- physically and mentally challenged. These procedures are done under complete medical supervision and mostly under sedation and general anaesthesia. Personality based smile designing and esthetic needs. Quick and faster treatment plans in minimum time. He has extensive experience in treating Gum And Bone Diseases with command on Surgical Techniques including bone and soft tissue grafting along with gingival esthetics. 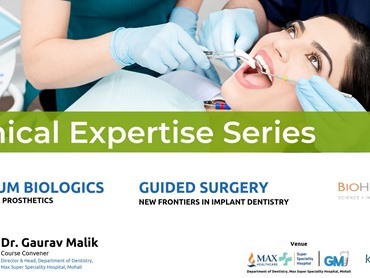 Apart from focusing on Specialty Practice and Oral Implantology, Dr. Malik has keen interest in General Dental Practice and has world renowned Certified Advanced Courses and Expertise in Dental Implantology, Dental Lasers, Esthetic/Cosmetic Dentistry, Rotary Endodontics And Prosthodontics from pioneers in respective fields. He is involved with and has special interest in dental treatment planning of Geriatric/Elderly and Special Need/Differently Abled patient group (children and adults). His focus is to work on Principle Of Evidence Based Decision Making following all work ethics and Multidisciplinary Approach. He and his highly trained staff take the time to personalise the dental experience taking the fear and intimidation out of dentistry. 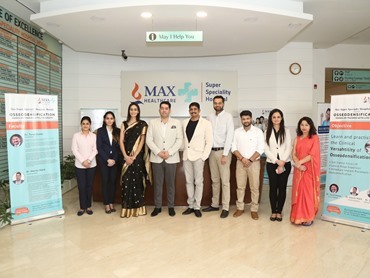 He has incorporated state of art international standards into his dental practice and has ensured that he continues to expand his expertise and knowledge by attending various advanced courses and conferences and be updated with all current and future technologies thus offering his patients the best all round care. Dr. Malik ,strives for balance in professional and personal life and feels it important to priortise for better focus and quality in both spheres.With travelling and food being his passion, he loves to have his favourite ambient music playing around- whether work or home. His outlook is cosmopoliton with respect of all cultures and envirionment. He belives in living live to fullest with love, compassion and respect for all.